The quality of veterinary medicines — what is it and why does it matter? In the UK, standards for the safety, quality and efficacy of animal medicines, as for human medicines, were first identified under the auspices of the 1968 Medicines Act. The manufacture, quality control, registration, distribution and packaging of veterinary medicines are now controlled by a plethora of European regulations and directives. These are separate from those pertaining to human medicinal products, but no less demanding. The original Directives 81/851 and 81/852 reflected in many ways the existing UK controls required under the Medicines Act. Since then there have been many changes and new legislation to try to introduce better ways of producing a single process for bringing human and veterinary medicines to the European market. Things began to move on in May 1994, when the Commission of the European Union and the Council of Europe decided to create a network of official medicines control laboratories (OMCLs), designed to be a new collaboration in the area of quality control of marketed medicinal products for human and veterinary use. In 1995, the European Directorate for the Quality of Medicines took on the responsibility of establishing this network. The OMCLs test the quality of medicinal products for human and veterinary use independently from manufacturers, thus avoiding any conflict of interest. This testing is done in either member and observer states of the convention on the elaboration of a European pharmacopoeia involved in the general activities of the network, or member states of the EU and the European Economic Area and Switzerland, where appropriate. It was in 2005, in accordance with EU law and recommendations from the Marsh Report and the Competition Bill — both of which indicated the necessity to make veterinary medicines more accessible to the public — that the UK Veterinary Medicines Regulations were first drafted. The issues of safety and efficacy with regard to veterinary medicinal products are beyond the scope of this feature but are, of course, of relevance to those manufacturers that are applying for marketing authorisations for both human and animal medicines. It is a fact that, if appropriate and consistent quality is ensured in the production of medicinal products, then this will also ensure their safety and efficacy. There are several reference sources used to ensure that the materials used in the manufacture of the products conform to recognised standards and that the products made from these materials are of a quality that can be guaranteed from batch to batch. Quality assurance is defined as “a programme for monitoring the stages of a project to ensure that standards of quality are being met”. Products should be manufactured to standards of good manufacturing practice and their production should also be controlled to standards appropriate for their intended use. GMP, defined as “that part of quality assurance which ensures that medicinal products are consistently produced and controlled to the quality standards appropriate for their intended use”, is largely governed by the Orange Guide, which brings together EU directives and guidance. Also, existing manufacturing authorisations and the Medicines and Healthcare products Regulatory Agency inspectors dealing with pharmaceutical veterinary medicines have an influence in this area. Assorted pharmacopoeias are consulted. 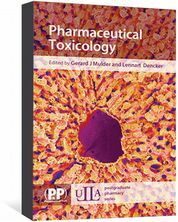 The European Pharmacopoeia is the most influential and incorporates individual monographs for both active substances and excipients, as well as general monographs covering standards for substances for pharmaceutical use and products, such as tablets. 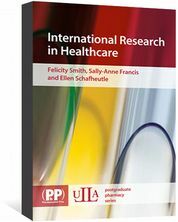 Other pharmacopoeias used include the British Pharmacopoeia, those from other member states such as France and Germany, and those from other parts of the globe such as China and the US. The Committee for Medicinal Products for Veterinary Use (CVMP) was established by EC Regulation 726/2004 and is responsible for preparing the European Medicines Agency’s reports on all questions relating to veterinary medicinal products. The above list is not exhaustive. 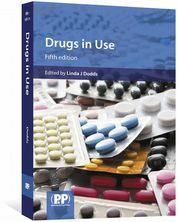 There are also CVMP guidelines to cover the starting materials (active substances): where and how they are made and making sure that they are the same each time. Certificates of suitability and the drug master file, together with data related to the material, are required for these ingredients. CVMP guidelines cover the summary of requirements for active substances and the chemistry of any new active substance. There are also guidelines from the International Co-operation on Harmonisation of Technical Requirements for the Registration of Veterinary Medicinal Products (VICH), which is a trilateral (EU-Japan-US) programme launched in 1996, with the aim of harmonising technical requirements for veterinary product registration. VICH guidelines cover residual solvents and impurities in any new active substance, as well as many other areas. As may be expected, manufacturers are required to demonstrate that the product is made the same way each time so, in any marketing authorisation application, there will need to be a description of the product formula, its method of manufacture, evidence that there has been validation of this method at intervals during the process and at the end. There are many guidelines to cover these. They will also be expected to illustrate that they have carried out transmissible spongiform encephalopathies evaluations on all components, they have used a control, they have done functionality tests for all excipients and they have certificates of analysis for the product. Also, they will need, if necessary, to test intermediate products. This is rare, but is needed if the product is manufactured at a different site from that where it will be put into its final container. In this instance, manufacturers will need to provide evidence of the stability of the product in the temporary container and during storage. They will need to give evidence of the tests performed on the finished product, such as all methods plus their validation, as well as batch analysis data. The manufacturer will also need to provide evidence of the stability of the product. This means checking the product at the end of its shelf-life to confirm that it is still safe and still works. There are VICH and CVMP guidelines to cover tests on the active substance, the finished product, the shelf-life, storage conditions during the stated shelf-life and the retest interval. It is comforting to know that there are so many safeguards around to ensure that the quality of new veterinary medicines reaching the market is maintained. Apart from obvious animal welfare considerations, it is essential that the human food chain is protected and that undesirable residues in the environment are kept to a minimum. It is only to be hoped that the undeniable high costs of generating data related to the safety, quality and efficacy of new pharmaceutically active veterinary ingredients will not serve to deter manufacturers from progressing their research and marketing new products into a relatively small market place, where a return on their investment may not be seen for many years.